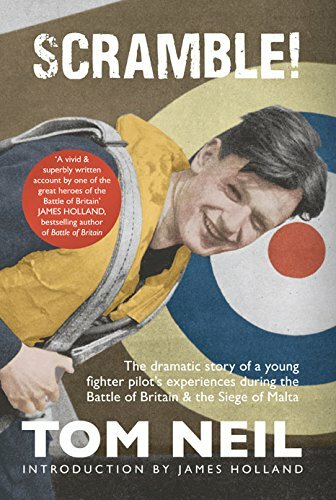 This is Tom Neil's memoir of four tumultuous years, 1938–1942, when he was first trained, then fought and survived in not one but two of the biggest aerial campaigns of the war, the Battle of Britain and the equally epic, but lesser known, Siege of Malta. When the Germans were blitzing their way across France in spring 1940, Pilot Officer Tom Neil had just received his first posting – to 249 Squadron. Nineteen years old and fresh from training, he was soon to be pitched into the maelstrom of air fighting on which the very survival of Britain would come to depend. By the end of the year he had shot down thirteen enemy aircraft, seen many of his friends killed, injured or burned, and was himself a wary and accomplished fighter pilot. Out of the frying pan and into the fire, Tom was then shipped off to the beleaguered island of Malta to face a second Luftwaffe onslaught. Again heavily engaged, he shot down another enemy fighter and survived a number of engine failures and other emergencies. Now ninety-five, he is one of only about twenty Battle of Britain veterans still alive and this vivid memoir is his last word on his fighter pilot experiences. Please Note: With over 640 pages, this is a large, heavy book and the price of postage will reflect this.